Termite Professionals LLC is based in Pompano Beach Florida, and we service all of Broward, Miami-Dade, and Palm Beach Counties, in south Florida and surrounding areas. We provide all types of termite control services, pest services for rodents (rats and mice), German Cockroaches and beetles, all performed by professionally trained technicians, who have over 100 years combined experience. Termite Professionals LLC is licensed and insured for your protection in the State of Florida. You can trust your home or business will receive the same quality termite and pest control services as we would provide for a member of our own family. 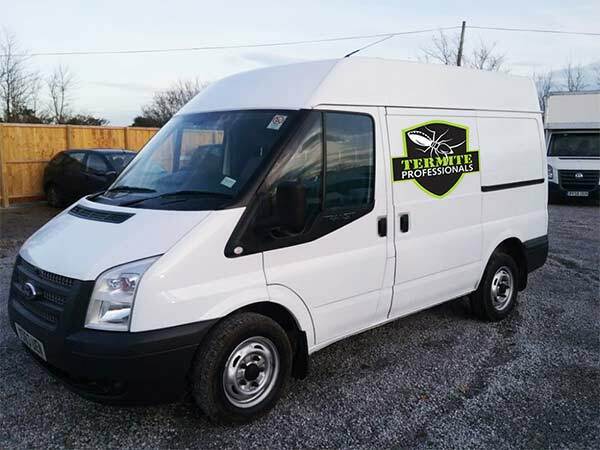 Termite Professionals LLC offers a variety of termite control services, along with residential and commercial pest control services to meet your needs and budget. You may choose annual service, monthly, quarterly or a one time service control treatment, whichever you prefer. Whether commercial or residential, you can count on us to take care of all your termite control needs. We also offer specialized commercial pest and termite control services to the hospitality industry, property managers, property management companies, Co-Ops and Condominium complexes, including the control of rodents, German cockroaches or beetles. Call us today and see why the Termite Professionals LLC is the fastest growing termite and pest control company in South Florida. Broward County: Sunrise, Coconut Creek, Cooper City, Coral Springs, Dania, Davie, Deerfield Beach, Hallandale, Hollywood, Inverrary, Lauderdale Lakes, Lauderdale-by-the-Sea, Lauderhill, Lighthouse Point, Margate, Miramar, North Lauderdale, North Ridge Annex, Oakland Park, Parkland, Pembroke Park, Pembroke Pines, Plantation, Pompano Beach, Port Everglades, South Florida, Sunrise, Tamarac, West Hollywood, Weston, Westside Branch, and Wilton Manors. Palm Beach County: Lake Worth, Wellington, Jupiter, Boca Raton, Boynton Beach, Highland Beach, West Palm Beach and Delray Beach. Miami-Dade County: Aventura, Carol City, Doral, Golden Isles, Sunny Isles Beach, Bay Harbor Islands, Bal Harbour, Miami Shores Village, Surfside, Indian Village, North Bay Village, Hialeah, North Miami, North Miami Beach, Miami Lakes, and Miami Gardens. Call us today at (954) 957-8274 for immediate service.